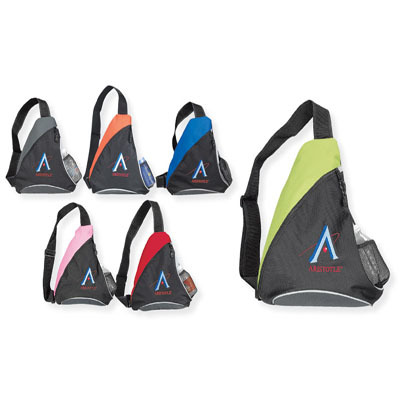 Extra-wide single strap, adjustable for hand or shoulder carrying, spacious interior with zippered closure (large enough to fit file folders), mesh pocket for water bottle. 600D polyester. Size: 13" x 17" x 3 1/2". *There is a 8 % surcharge on the price of this calendar if it is shipped to California, Tennessee, or Maryland, so the price per calendar shipped to these states will be 8 % more than you see on the website. This surcharge will not be reflected on the order form, but will added to your total and charged on your credit card. 50 1 color(s) imprint at $577 ONLY $11.54 each. 50 2 color(s) imprint at $648 ONLY $12.96 each. 50 3 color(s) imprint at $725 ONLY $14.50 each. 50 4 color(s) imprint at $815 ONLY $16.30 each. 150 1 color(s) imprint at $1,501 ONLY $10.01 each. 150 2 color(s) imprint at $1,626 ONLY $10.84 each. 150 3 color(s) imprint at $1,766 ONLY $11.77 each. 150 4 color(s) imprint at $1,917 ONLY $12.78 each. 250 1 color(s) imprint at $2,406 ONLY $9.62 each. 250 2 color(s) imprint at $2,621 ONLY $10.48 each. 250 3 color(s) imprint at $2,836 ONLY $11.34 each. 250 4 color(s) imprint at $3,051 ONLY $12.20 each. 500 1 color(s) imprint at $4,637 ONLY $9.27 each. 500 2 color(s) imprint at $4,950 ONLY $9.90 each. 500 3 color(s) imprint at $5,281 ONLY $10.56 each. 500 4 color(s) imprint at $5,641 ONLY $11.28 each. 1000 1 color(s) imprint at $9,068 ONLY $9.07 each. 1000 2 color(s) imprint at $9,737 ONLY $9.74 each. 1000 3 color(s) imprint at $10,407 ONLY $10.41 each. 1000 4 color(s) imprint at $11,077 ONLY $11.08 each.